The Meditation Instructor Training supplies the fundamental knowledge and experience necessary to lead meditation classes and one-day meditation intensives. People all over the world have turned to Buddhist meditation as a source of wisdom. Meditation offers a powerful method to access a sense of spaciousness, peace and authentic presence. The practical benefits of meditation are well documented. Research shows it improves mood, reduces stress (Brown & Warren 2003), it improves memory, visuospatial reasoning, sustained attention and executive brain function (Zeidan et al. 2010). It reduces sub-clinical depression and anxiety (Schreiner and Malcolm 2012). From a Buddhist point of view, when we know how to meditate, we learn how to work with mind and emotions. We have a practice for unraveling conditioned scripts and unconscious habits. Meditation is a pathway to discovering human goodness by making peace with our mind. Ultimately it is a method for getting free from dissatisfaction, resolving confusion and waking up to see reality more clearly. Equanimity, calm, peace, inner strength, resilience, centeredness… there are so many reasons the world needs meditation teachers. Meditation Teachers can offer important tools to society for relating to these tumultuous times. Meditation promotes mindfulness and equanimity – the ability to let emotional states arise and pass without becoming overwhelming. With mindfulness, we are able to become aware of our mind-states, rather than carried away by them. It promotes the state of equanimity, the ability to respond skillfully to situations. Instead of responding with knee-jerk reactions, blame, resentment and anger we can choose healthier responses, such as loving-kindness and compassion. There are so many places where meditation can be taught. It can add a profound benefit to temples, yoga centers, health centers, schools, corporations, communities and healthcare settings. This training offers meditation instructors copious knowledge, both practical and experiential – so that you can offer high-quality classes in any setting. The training includes a study of the postures for meditation, breathing techniques, the five key meditation techniques from Zhine, (also known “Calm Abiding), common obstacles to meditation, remedies for obstacles of meditation and more. We will also review the most important Buddhist teachings to support meditation practice – looking to the wealth of Buddhist philosophy for new perspectives on what is mind, how to work with thoughts and emotions, what is the body-mind connection and how body and mind can be harnessed for awakening. This course and its curriculum have been designed by Pema Khandro Rinpoche, Tibetan Buddhist teacher, and scholar. She is an American born Lama who specializes in the tradition of Tibet’s Buddhist Yogis and the Dzogchen teachings. 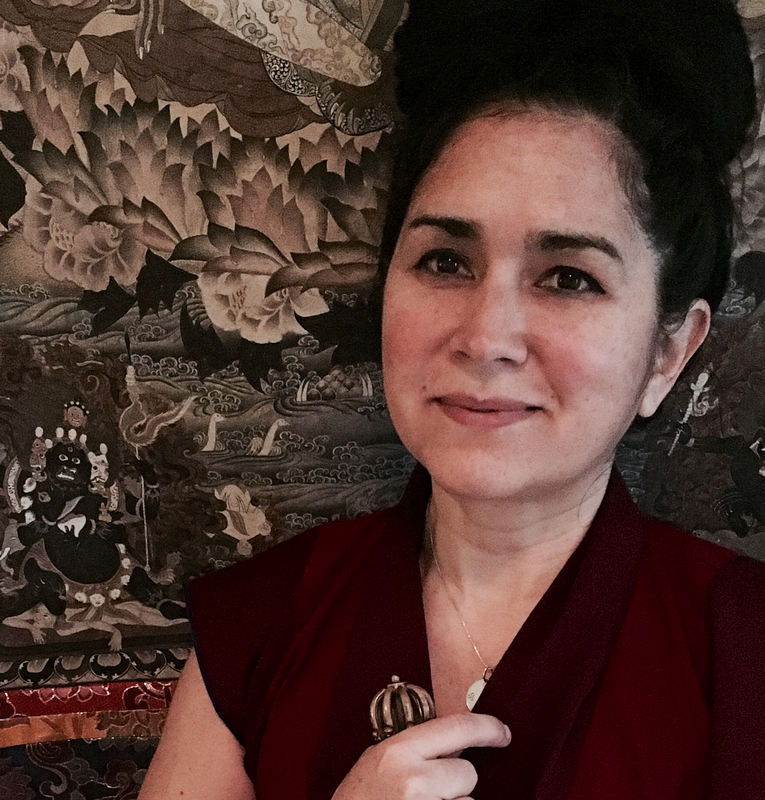 Ordained in the Nyingma lineage, enthroned as a tulku, and trained as an academic, Pema Khandro’s teachings celebrate the dynamic coalescence of tradition and the modern context. 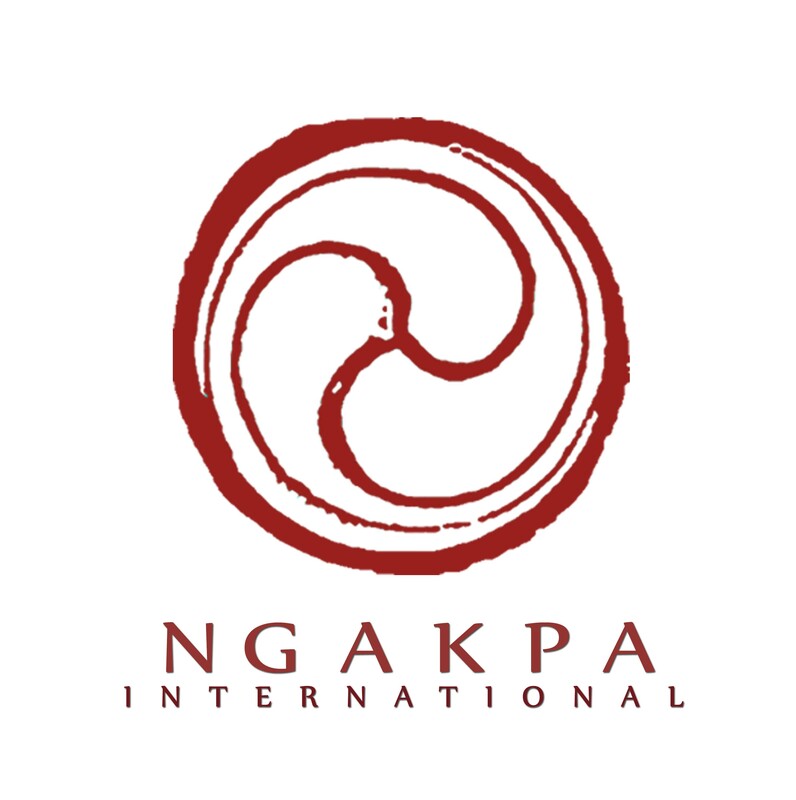 Pema Khandro is the founder of Ngakpa International, the Yogic Medicine Institute, and three residential centers. For more information visit www.PemaKhandro.org Learn more about Pema Khandro here. Pema Khandro first taught the course in 2001. She has developed an online version of the course in order to give support and deep training to friends and students around the world, who may not be able to travel to attend in person. The c ourse will also be led by two of her students, Aruna Rig’dzin and Satya Shiva. Aruna and Satya have studied closely with Pema Khandro for more than seventeen years. They have attended this training five times, attended all of Pema Khandro Rinpoche’s courses and they trained intensively under her supervision. 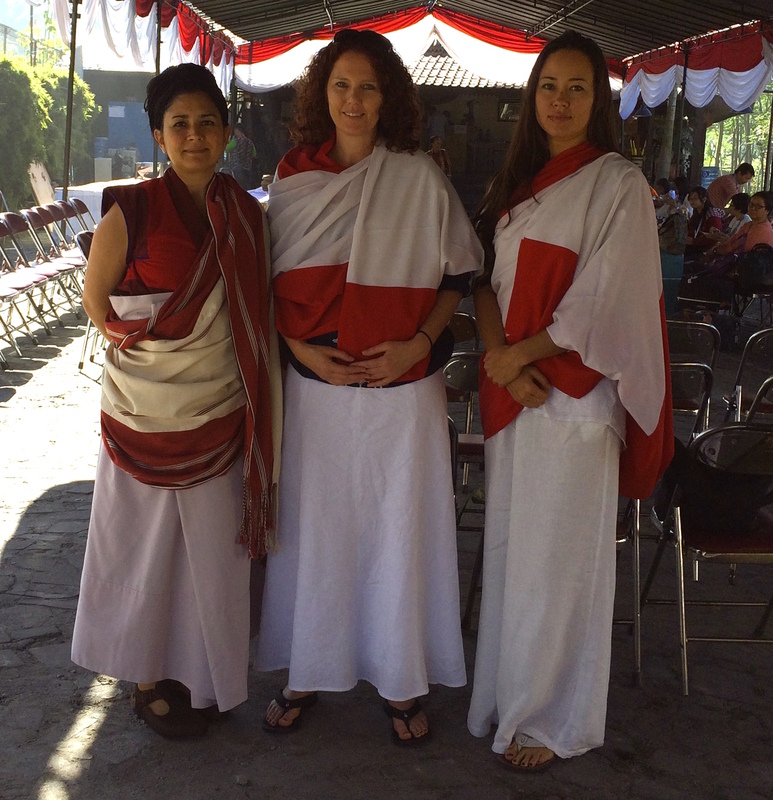 Since 2011, Aruna and Satya have been teaching assistants and leaders in the Buddhist Yogis Sangha and Ngakpa International. Learn more about Aruna and Satya here. An Online Format to Harmonize with Your Busy Life! Why Meditation Training? Why Online? Study the crucial points of meditation practice from home, at your own pace. You will receive a new video lesson each day covering the essential points of Meditation practice and Meditation Instruction. Students will complete a weekly online exam reviewing the major principles of the video lessons they have received. There is a 24 hour period to finish each exam. Students will be required to submit 21 journal entries documenting 21 practice sessions (this is equivalent to daily practice during the main three weeks). What were the positive things about your practice today? Name one challenge about your practice today? Which practice did you complete today? What did you learn or find beneficial about this video lesson? What questions do you have about this lesson, your daily practice or other related questions? Students will meet with the instructors once a week for an online workshop, discussion, and evaluation. During the workshops, every student will lead a meditation class and receive peer review as well as feedback from the instructors. This is led by Satya Shiva and Aruna Rig’dzin. Each student will lead three meditation classes in a local underserved community in order to complete the meditation practicum. It is the student’s responsibility to organize and arrange these classes within their local community. They will be given instructions for which practices to lead and will discuss these experiences in the group workshops. Students who complete all aspects of the training, plus exams, will be invited to the final transmission class and graduation with Pema Khandro Rinpoche. Introduction Lesson Zero: What is Mind? How does meditation work with the factors of mind? Lesson 2: What is Meditation – Why Meditate? What is Calm Abiding Meditation? Why is calm abiding necessary? Is non-thought the goal? Why or why not? Introduction to the mind-body relationship framed as winds, channels and spheres. What is calm or tranquility? How is it distinguished from dullness? Does meditation make the mind more busy? Dealing with fidgeting and body movement, how much movement or stillness is required? Must attend all classes and group sessions to graduate. Attendance of all live classes and meetings including: orientation, weekly workshops, and final transmission class. (Video lessons may be watched at one’s own pace). *If a student needs to miss one weekly group workshop, then the student may request to arrange a private session with Aruna or Satya at an additional charge of $150. Successful completion of all three exams 80% or above, plus completion of practicum. Daily practice and completion of the daily journal, totaling twenty-one journal entries with six questions each. Registration Fee: $500 non-refundable deposit is due upon registration to reserve space in the course, balance due by September 10th, 2018. Openings: Course is limited to 20 students. Financial aid considerations: The course costs are set at a minimum fee already, with financial aid built into all tuition rates. Because we are a non-profit organization, the costs of all activities and overhead of our organization must be covered by the participants of the courses. For those who are experiencing genuine financial hardship and wish to enroll in the course, two financial aid scholarships at a 50% discount are available. Financial Aid applications are due by September 1st. Ability to devote time and energy to the program, to attend and complete all course components, to take time away from work and other commitments in order to complete the study, practice and attend group sessions. Ability to pay tuition and practice of Dana (teaching offering) in support of all program components (see tuition for details). Maintenance of a harmonious relationship with Instructors, Pema Khandro Rinpoche, Buddhist Yogis Sangha and Ngakpa International. Embodying Buddhist principles: generosity, discipline, patience, diligence, compassion, equanimity, respect for teachers and sangha, harmony with teachers and sangha. Ethical integrity: upholding the five precepts and Commitment to Buddhist ethics – especially maintaining sobriety (in terms of being free from substance addictions) and refraining from sexual misconduct (includes refraining from romantic relationships with students and refraining from breaking vows or causing others to break their vows.) Refraining from hate speech (including hate speech on social media). Ethical commitment to refrain from engaging in sexual relationships with any students. If a relationship begins with someone who has been a student it will be only after they have ceased from being a student for at least six months and have already resumed working with another meditation teacher. Psychological health and stability, a history of emotional and psychological development, a history of emotional and psychological stability and well-being for the previous ten years. Continuing psychological and emotional stability and well being throughout the duration of the course. Wish to lead based on service, gratitude, humility, and kindness rather than ego-driven ambition or narcissism. This includes: a conscious awareness of one’s own limitations; understanding the scope of one’s competence and authority; the willingness to draw on support from teachers and other professionals; adopting the practice of referring when students have needs outside one’s scope of competency; attribution of credit to sources/teachers when repeating or using their works. Respect for diversity: Respect towards other religious views, expressing kindness towards all beings regardless of race, ethnicity, gender, religion, sexual orientation or sectarian affiliation; respect for all types of Buddhism. What if I have to miss a portion of the Saturday Live Online Group Sessions? A student can make up one missed Live Group Session by purchasing a 1-hour private session with a facilitator (Aruna / Satya). At what point will I be ready to begin offering my free meditation classes to an underserved community? You may begin the Teaching Practicum of three meditation classes in an underserved community at the halfway mark of the training. Students must arrange and organize these classes for themselves. What if I am not able to lead 3 meditation classes in an underserved community within the time period of the training? A student may schedule these 3 meditation classes in an underserved community at any time that works for their schedule, however, they will not be certified as a meditation instructor until these hours are completed and confirmed by the facilitators. What are the daily journal questions? 1. What time did you start practicing today, and what time you finished practicing. 2. What were the positive things about your practice today? 3. Name one challenge about your practice today? 4. Where did you practice? 5. Which practice did you complete today? 6. What did you learn or find beneficial about this video lesson? 7. What questions do you have about this lesson, your daily practice or other related questions? I started practicing this morning at 7:30am and finished practicing at 8am. My knee problems didn’t bother me, my body felt good and stable! My mind was very active today. In the meditation room upstairs by the window, I found the light helped. I did the 21 breath practice. Also, the preliminary exercise was double breathing. The part about enlightened intent – and redefining ourselves in terms of connected being as the basis of practice. Why don’t most Tibetan Buddhists do silent sitting meditation practice? If I have the All Access Pass (AAP) – can I still attend the training pieces that I chose even if I don’t want to become a Certified Meditation Instructor? Yes. AAP may attend any and all portions of the MIT by watching the videos – except the workshops and exams. Workshops and exams are for the registered students only. What is an underserved community? Underserved refers to communities that have less access to meditation, or do not currently have meditation classes. This is up to your discretion to determine which communities are underserved in your local area. If I complete the training, will I automatically be a Certified Meditation Instructor and authorized to lead classes and one-day meditation retreats? Graduation is subject to approval by the faculty. Documentation and completion of 3 hours offering meditation classes to an underserved community. Complete payment of tuition and practice of Dana (teaching offering) in support of all program components (see tuition for details).